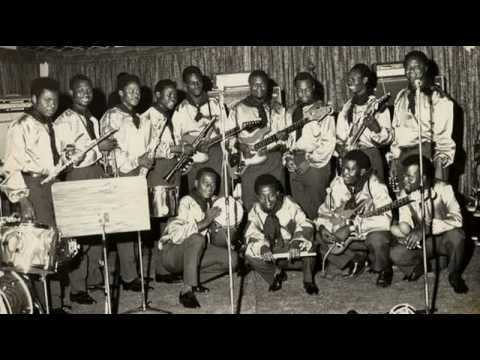 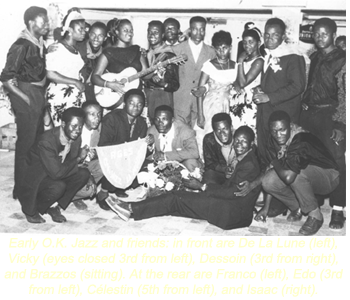 By 1963 the band had grown to over twenty members and Franco had taken over as band leader. 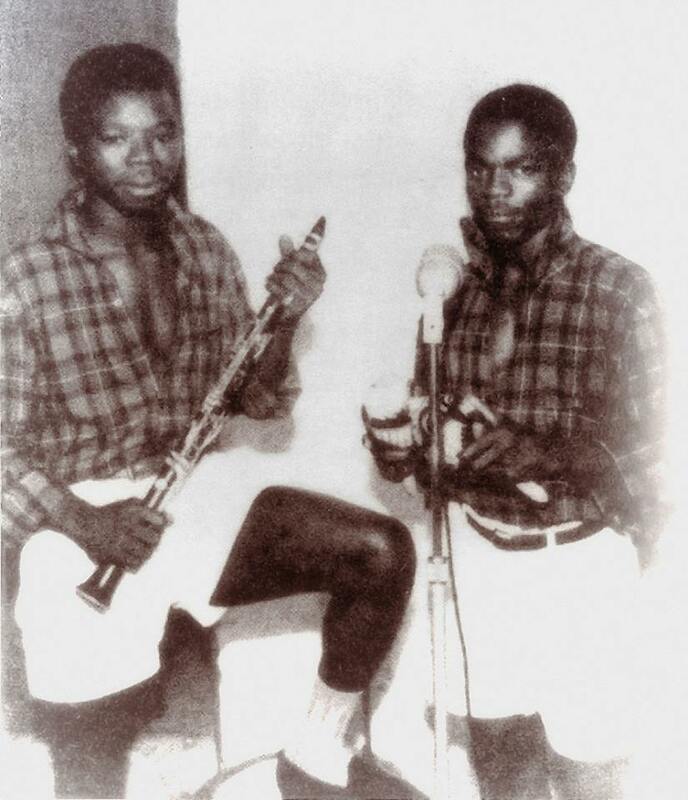 Next to him is Albino Kalombo, a multi-instrumentalist who mostly played saxophone. 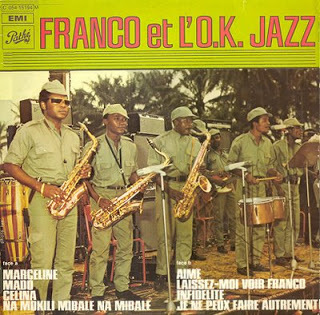 His stay at OK Jazz was brief. 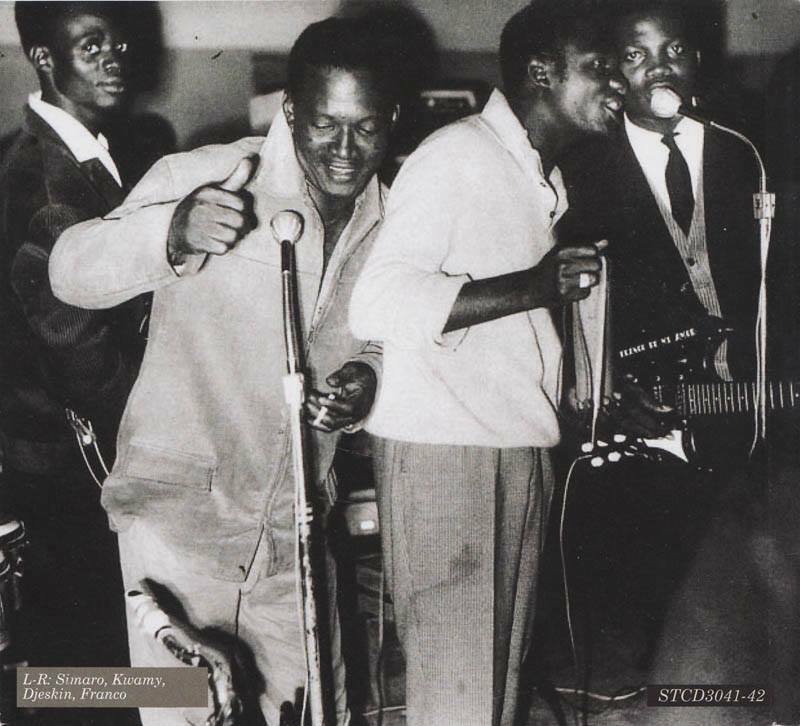 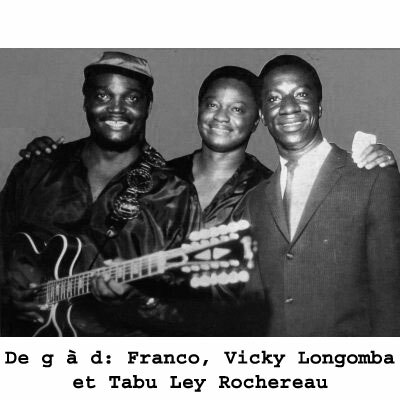 Vicky Longomba centre) was the nominal leader of TPOK Jazz until he abidated that role by accompanying Grand Kalle and Africa Jazz to the Ronde Table talks for independence in 1960. 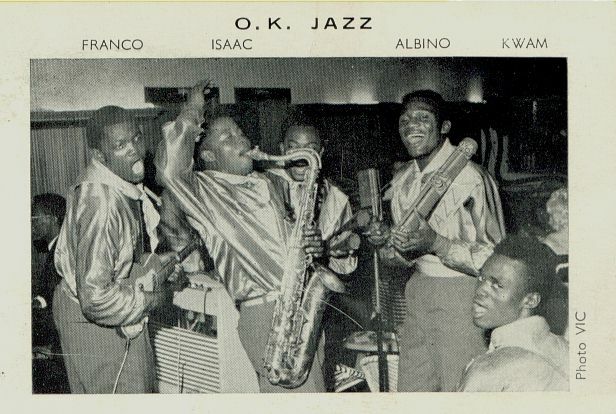 He returned to TPOK Jazz in 1962. 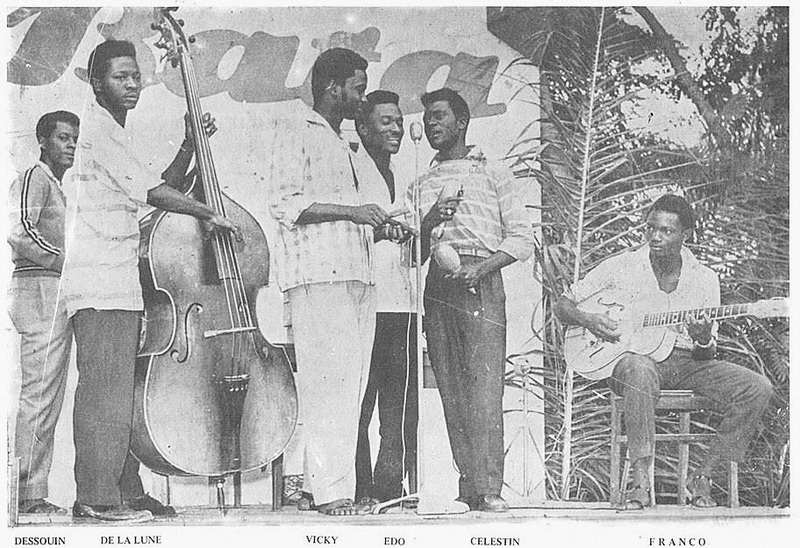 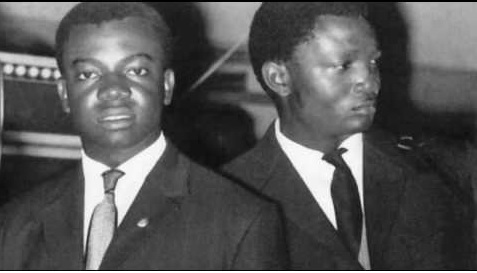 He was for many years the Vice President of TPOK Jazz before he fell out with Franco again in 1970.